If you’ve had a child or been a child in the past fifty years, chances are you’re pretty family with Big Ted, Little Ted and the rest of the gang. Play School is the longest running children’s show in Australia and has featured some of Australia’s biggest stars as guests such as John Jarratt, Deborah Mailman and Georgie Parker. So it’s a pretty big deal when the Play School gang pack up and hit the road. Parents and children alike can enjoy the Play School antics lives, and sing along to songs like Bananas in Pajamas, The Ning Nang Nong and, of course, the Play School Theme Song. 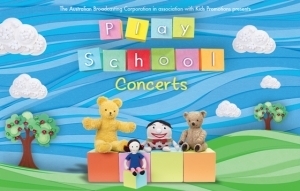 Play School Concerts will take place throughout Australia in 2013, with May seeing the show come to Queensland. All your favourite toys will be there – Humpty, Big and Little Ted, Jemima and Meeka – to put on a show for your children. And forty minutes of singing, dancing and storytelling may come with an extra bonus – that your child will be completely worn out and ready for a nap at the end of it! Play School Concerts will show in more than a dozen Queensland venues from the Gold Coast to Mackay, with shows in Brisbane to take place in Everton Park, The Gap, Holland Park, Morayfield, Manly, Shailer Park and Clayfield. Tickets are $16.50 each and can be purchased online.